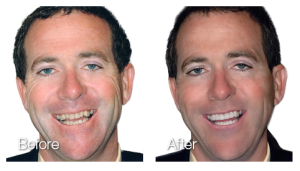 Veneers can be a great long-term solution to a variety of dental issues. But most conventional veneers are thick and require a dentist to destroy perfectly healthy tooth structure to place. Lumineers are different. We don’t have to drill. The process is minimally invasive, painless and offers excellent, long-lasting results. These wafer-thin pieces of porcelain are designed from digital x-rays, pictures and models of your teeth. We then bond t hem gently but securely to the front of each tooth. 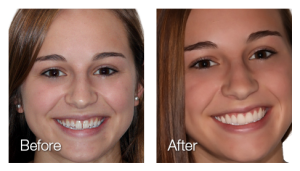 Two visits are all it takes for you to gain an attractive, natural-looking smile. Lumineers can be the perfect solution for disguising chipped teeth, reshaping teeth or realigning a smile, or for rejuvenating old dental work such as crowns and bridges. And because no natural tooth has been sacrificed for them, the procedure is easily reversible. Contact our office today to see if Lumineers are right for you.